Porto de Sauipe Brazil one of the most beautiful regions of Bahia 3 reasons to visit tranquillity, relaxation and beaches. Plus ideal Accommodation 4U. Offering an outdoor pool and a restaurant, the beachfront Estrela do Mar Exclusive Resort is located in Entre Rios City. Free WiFi access is available in this resort. Pousada Vila Arco-Iris offers a pool with a large sun terrace and external areas, as well as a bar and restaurant. It is located 500 metres from Barra, where the local river meets the sea. Featuring a garden, Casa Águas de Sauipe is a detached holiday home set in Porto de Sauipe. 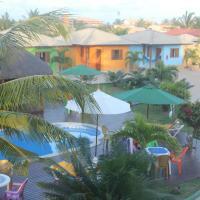 The property is 27 km from Praia do Forte and free private parking is featured. This property is 3 minutes walk from the beach. Featuring a garden, Casa Águas de Sauipe is a detached holiday home set in Porto de Sauipe. There is a dining area and a kitchen complete with a dishwasher, a fridge and stovetop. A flat-screen TV is offered. Other facilities at Casa Águas de Sauipe include a barbecue. Imbassai is 16 km from Casa Águas de Sauipe, while Costa do Sauipe is 11 km away. The nearest airport is Luis Eduardo Magalhães Airport, 78 km from the property. Jambalaya Pousada offers practical accommodation in one of the most beautiful regions of Bahia. 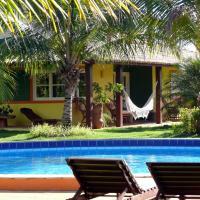 Jambalaya Pousada offers practical accommodation in one of the most beautiful regions of Bahia. Breakfast in included and features a variety of fresh fruits, breads and cold meats, as well as a selection of hot and cold drinks. With a balcony and hammocks, simple-styled rooms at Jambalaya offer a fan, tiled floors, TV and a private bathroom with a hot shower. Deputado Luís Eduardo Magalhães Airport is 82 km away. 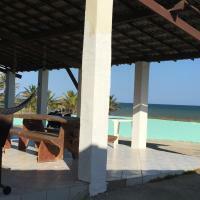 Costa do Sauípe is 4 km from the property and Forte beach is 26 km away. Imbassaí beach can be reached within 9 km. Take A Break Holidays takeabreakholidays, Porto de Sauipe San Francisco De Asis, Urb Marina, San Fulgencio, 03177, Alicante, Spain.